Planning a wedding is no longer just flipping through a bridal magazine. It’s a smart and savvy affair, and one task that the modern bride is heading into full steam. From intel gathering to relationship building, she knows the names, she knows the trends, and she knows who to rely on to make her Big Day huge. 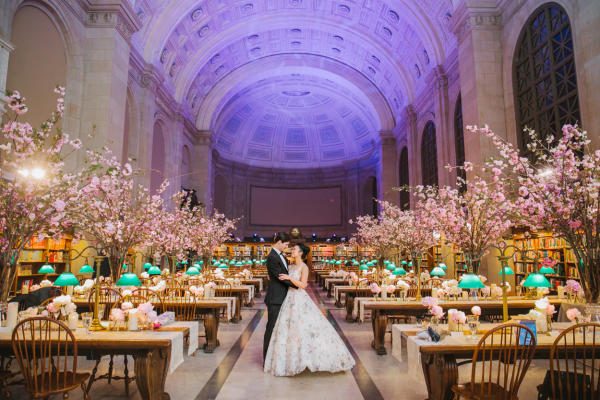 Boston’s elite bride goes one step further – going directly to a wedding style guru, so even the boldest of ideas is bought to life in an epic way. If the wedding day is the jumping point into a lifelong union, millennial couples are definitely looking before they leap. “Millennial brides and grooms are connecting now with younger designers and wedding pros,” explains David DiCicco, Director of Design and Sales at Marc Hall Design. 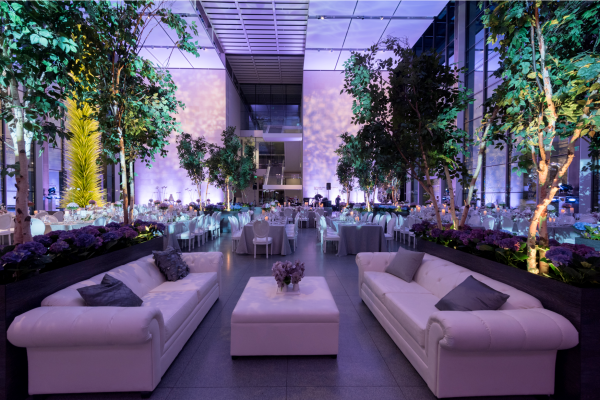 “They’re doing more research than ever before to see what’s available to them.” Named one of the top 40 event designers in 2017 by Biz Bash, Creative Director Marc Hall and his team work with brides and grooms to bring their vision to life – not just through florals but also the landscape of table wear, lighting, linens and more. Bringing the outside in (think cascading blooms, lush greens, and even sky-high topiaries), Marc Hall Design is way beyond basic bouquets. 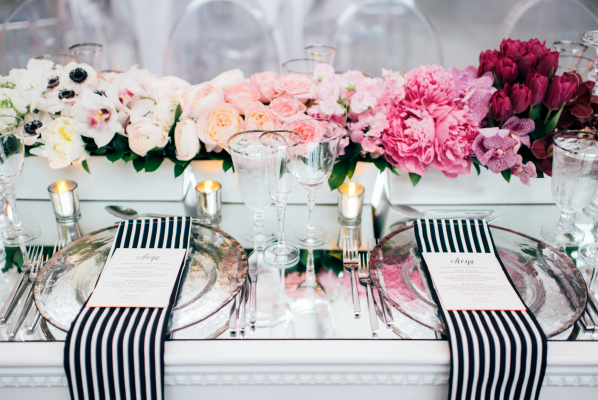 They add artistic style to the table for gasp-worthy wedding moments. 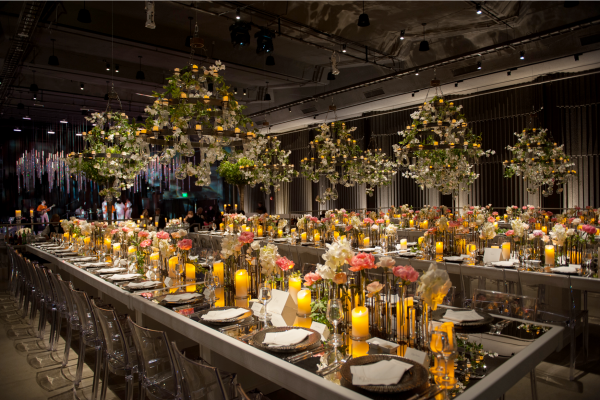 But even though florals are clearly front and center(piece), it’s the blossoming relationships with other wedding specialists that thrive within the world of Marc Hall. While the bridal design is a global mecca of unique ideas (his wedding tables are rich with exotic flowers and vessels from far-away lands), this designer hits up the local style scene to craft a dream day. It’s this synergy between pros that’s having its own moment in wedding planning. 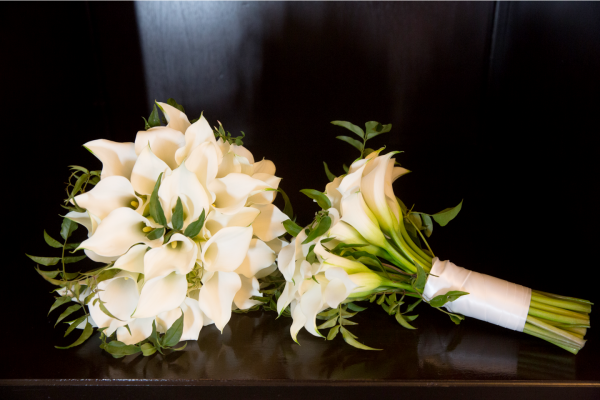 Consider the curtain pulled back on Boston’s most fabulous weddings. And the Big Day big reveal is a vision of whirlwind teams working together. When an engaged couple works on wedding décor with Marc Hall Design, they’re channeling a treasure trove of contacts Hall and his team have gained throughout the decades. “It starts with an idea, and our job is to build on that idea,” DiCicco says of conceptualizing a one-of-a-kind event together with fellow event specialists. 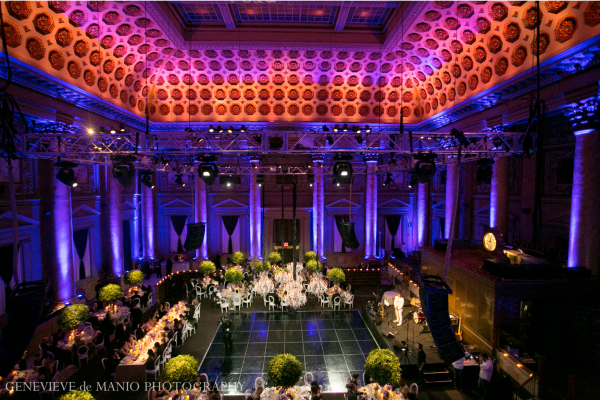 The team works with Boston’s most sought-after experts, such as Suzanne B. Lowell Lighting Design, Frost Productions and PEAK Event Services to create an unforgettable wedding day. DiCicco also throws props to premiere event planning companies such as Janie Haas Events, Michele Mottola Events Consulting, Hopple Popple and Simeral & Co. for taking typical Big Days to the next step and making the industry what it is today – a storyboard of ideas shared between like-minded pros. As today’s designers put a bit more “we” into “weddings,” modern brides and grooms can easily plan their Big Day with every detail on point. This work-together trend is definitely opening up more doorways to fabulous possibilities in Boston’s wedding scene. And these are some doorways any savvy bride would want to jump through.